We’ve got the secret to surviving nursing school and remembering everything, forever! 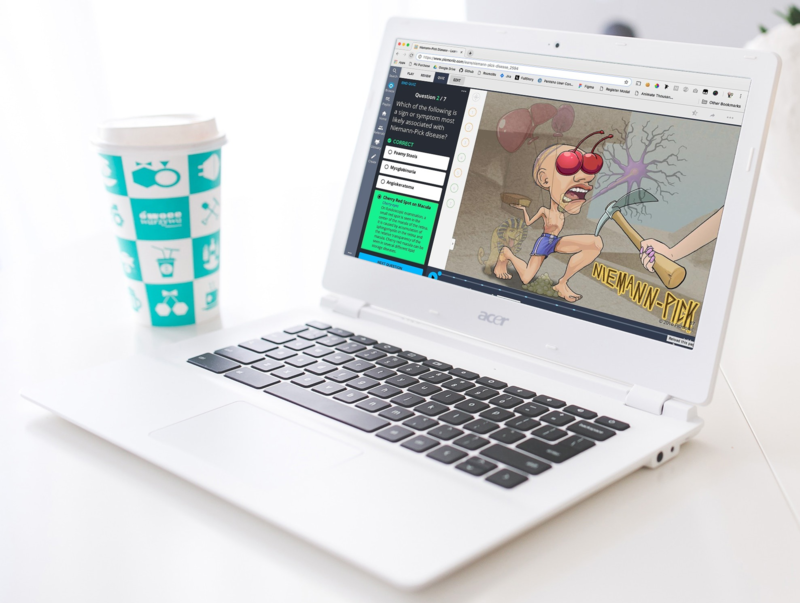 The Picmonic Learning System is a revolutionary educational platform that takes thousands of boring, hard to remember facts that you need to know for nursing school and turns them into crazy characters and stories. We call these picture mnemonics, and they’re almost impossible for you to forget. We’ve helped almost a half million students in their healthcare studies pass classes, exams, and boards with huge success by essentially using cartoons to learn. We use a number of evidence-based memory tools to make the information stick, and then attach that information to these crazy characters. Those characters then turn into memory triggers for you to remember the information you need to know, fast. Not to mention all the peer-reviewed research in PubMed. 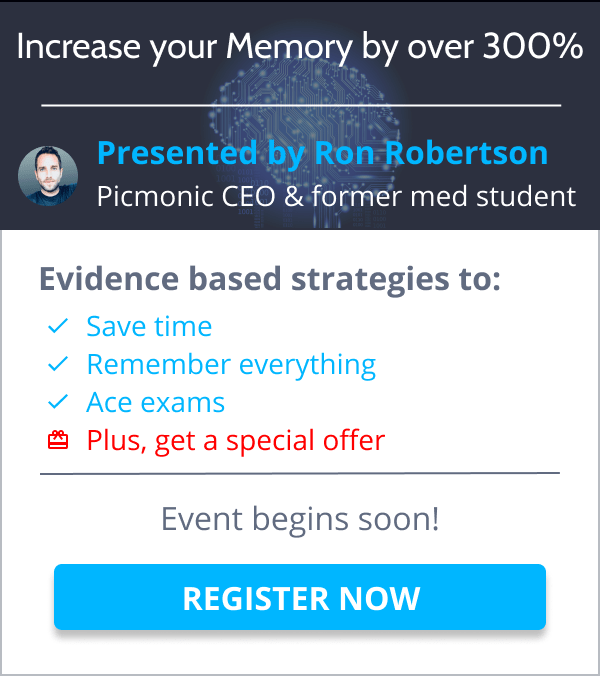 Picmonic even had our own peer-reviewed research done showing that students who used picture mnemonics saw a 50 percent increase in exam scores, and an over 330 percent increase in long-term memory retention; so that just shows you how effective it really is. You are going to see a main image with a list on the left side. Here we’ve taken all that textbook information for the topic and distilled it down to just the important key facts that you need to know, and will actually be tested on. Remember, we are all about efficiency! Each key fact is represented by a character in the main image. First, you will listen to the educational audio, which reads to you almost like your textbook would, explaining the topic and introducing you to the characters. Then, you’ll play the story audio, which wraps everything you just learned together into a memorable story so you can quickly recreate the image, characters, and associated facts in your mind, on the fly, whenever you need! Quizzing ingrains new information so much better than rereading, watching, or listening, and these quick recall questions make sure that you really have each character committed to memory. Picmonic is a very intelligent platform that keeps track of your progress as you learn. 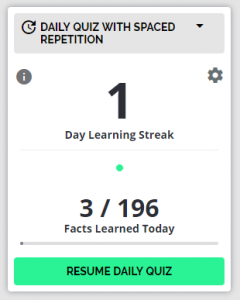 Based on your quiz performance, you will be teed up with your Daily Quiz queue; so the key facts that you don’t know so well, you’ll be quizzed on more often than the ones you do remember well. Adaptive quizzing like this saves you so much time in the long run, especially on the go with our iOS and Android apps. The Picmonic content library of over 1,000 topics covers you throughout your entire nursing journey, from day one of nursing school all the way to the NCLEX® and beyond. To save you time, we’ve even aligned our content to the most popular nursing textbooks, so you can follow along with your book, chapter by chapter, page by page; it’s so easy! All this for less than a Starbucks coffee a month! CLICK HERE FOR VIDEO TRANSCRIPT! Hey, everyone! 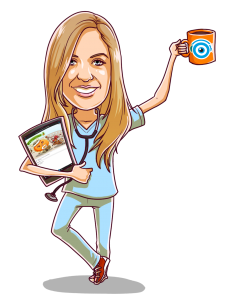 My name is Marlee and I’m the master nursing scholar here at Picmonic, where we take all the hard to remember information in nursing school and turn it into fun crazy characters and stories so that you can remember it best. We’ve helped almost half a million students pass their classes, their exams, and their boards by essentially using cartoons to help them learn. So you may be questioning this but at the foundation of our method there’s documented memory phenomena like Dual Coding, Picture Superiority, Von Restorff, facing effect, linking, chunking, and a ton more. Not to mention all the peer-reviewed research in PubMed. Picmonic even had our own research study done and it’s showing that students who use picture mnemonics saw a 50% increase in exam scores and an over 330% increase in long-term memory retention. The Picmonic learning process is an evidence-based 3-step system. So in this first step, (which is learning a Picmonic) you’re going to see the main image with a list on the left side. Here we’ve taken all that textbook information from the topic and distilled it down to just the important key facts that you need to know and will actually be tested on. Now, each key fact is represented by a character in the main image, so first you’ll listen to the educational audio which reads to you almost like your textbook would. It explains the topic and introduces you to the character. Next, we play the story audio. This drops everything you just learned together into a memorable story so that you can quickly recreate the image, the characters, and the associated facts all in your mind on the fly whenever you need. Okay, now we go into step number two which is quizzing yourself on what you just learned. Quizzing yourself ingrains new information so much better than rereading, watching, or listening and these quick recall questions will make sure you really have that character committed to memory. Picmonic is a very intelligent platform that keeps track of your progress as you learn. Based on your quiz performance, you’ll be teed up with your daily quiz questions. So the key facts that you don’t know so well, you’ll be quizzed on more often than the ones that you do remember well. Adaptive quizzing like this saves you so much time in the long run especially on the go with our iOS and Android app. All right, so let’s take an example because I want to show you how Picmonic can actually help you on a nursing exam. So, here’s an example of one of those dreaded “select all that apply” questions that you would see on a nursing exam. Ok, so right off the bat this may overwhelm you a little bit which is completely normal. But it can actually be really easy when we just break it down using Picmonic. So, let’s go back to the original question and reread it. Now, what pops out to me is that she is now ordered Losartan. So when I’m looking at losartan I want to know what kind of medication that is and because I studied my Picmonics, I immediately know that losartan is an angiotensin II receptor blocker. So how did I know that? Well, let’s hop over to the Angiotensin II Receptor Blocker Picmonic. So when you come to this Picmonic you’ll see this image with these crazy characters and the fact list on the side. Now, look at this fact right here that says “ends in -sartan”. So, I know that most angiotensin II receptor blockers end in -sartan, which we represent here in the Picmonic by the Spartans. Now, when I continue to look at this Picmonic, I see other characters like this angel edamame with big lips, which represents angioedema as a side effect. Now, if we continue down we see some contraindications just like this pregnant woman wrapped in caution tape; so that represents that this medication is contraindicated in pregnancy. So after you go through the process of learning the Picmonic and then quizzing yourself on it; that image would be stuck in your brain. So now going back to the original question… Let’s revisit those answer options. So, number two. “This medication is contraindicated in pregnancy”. (Remember that pregnant woman wrapped in caution tape) And then number four; “a common side effect of this medication is angioedema”. (Because remember the angel edamame with the big lips stood for angioedema) So now you can see how tying these images to facts can connect the dots and really start committing these back into long-term memories. 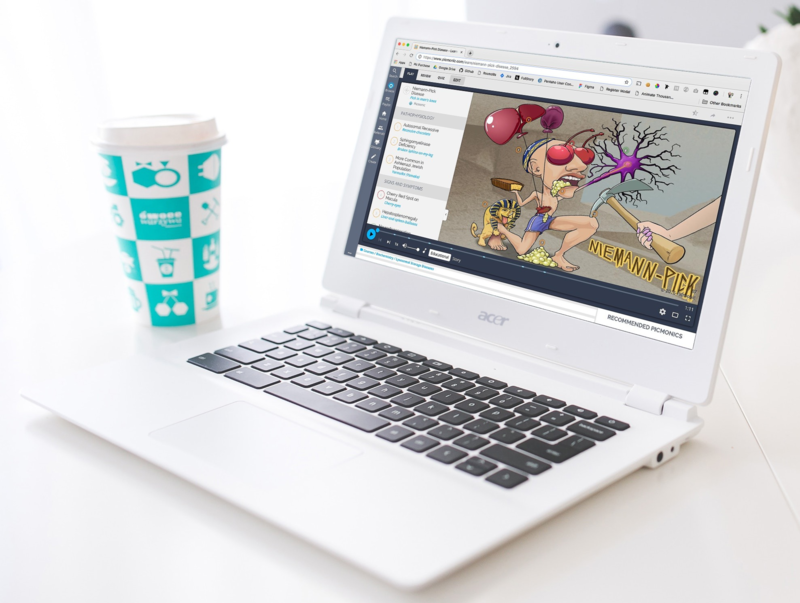 The Picmonic content library of thousands of topics covers you throughout your entire nursing journey- from day one of nursing school all the way to the NCLEX and beyond. To save you time, we’ve even aligned our content to the most popular nursing textbooks and all this is less than a Starbucks coffee per month. Plus, we’re always here to help you along the way. Our scholar team of doctors and nurses is constantly updating our content and always listening to your feedback, so please reach out to us anytime at feedback@picmonic.com. We are always here to help you along the way. Our scholar team of doctors and nurses is constantly updating our content and are always listening to your feedback, so please reach out to us any time at feedback@picmonic.com. Until next time, happy studying!